This is the set that started it all! It is a replica of the Original Colorforms Set that launched the company in 1951 and was recently selected for the Toy Hall of Fame. 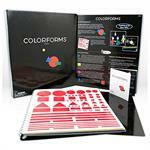 This set includes 350 brightly colored shapes. 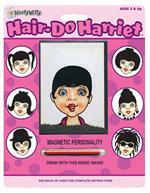 Command the catwalk with Barbie and the marvelous magic of retro Colorforms! the retro Colorforms play-pack is a nostalgic call-back filled with vintage-chic picks. Build high fashion ensembles with the flexible vinyl pieces for unique looks all your own. The retro Colorforms Holly hobbies play-pack invites children to explore a nostalgic, make-believe Wonderland bursting with fantastic potential. 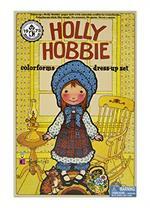 Use her pretty patchwork dresses, ruffled tops, and matching accessories to dress up Holly Hobbie. 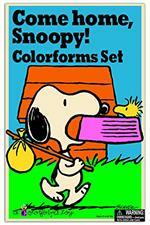 Create your own Peanuts adventure with Lucy’s Winter Carnival Colorforms playset. Jam-packed with all your favorite friends, the Retro Colorforms play-pack invites you to join Charlie Brown and the Peanuts gang in their wonderful winter celebrations. Fanciful LED Mini Picture Projector - Toysmith - Not suitable for children under 3 years. 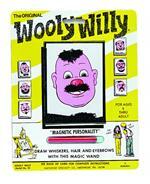 Wooly Willy's girlfriend Harriet is just waiting to seethe creative hair styles you can come up with!For ages 3 and up.7 X 8-3/4 X 3/8. A reproduction of the classic set designed in the 1970s, this educational set is perfect for teaching preschoolers how to dress for the weather. Includes playboard and plastic outfits for Miss Weather, for any season of the year! 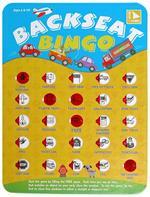 An updated version of the timeless backseat activity, players close the windows as they spy objects along the road. The game cards feature bright contemporary graphics and each set includes two cards for exciting head to head competition. 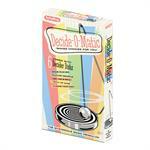 The classic dial and draw toy has returned. Create perfect pictures with this unique dial-a-doodle! Just trace and then turn the crank to easily draw adorable characters and animals. Just swing the pendulum by giving it a gentle push and watch as it haphazardly sways from option to option, slowly losing momentum until it finally comes to rest on one decision. 7 different themes. The 15 Puzzle is one of the world's oldest puzzles! 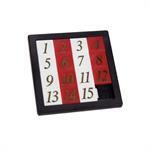 Slide the numbers around to mix up the plastic puzzle and then try putting them back in order. Not as easy as it looks! Comes blister carded. Games measures 2½ square. 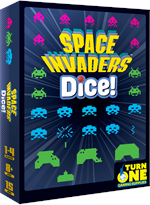 Space Invaders Dice! 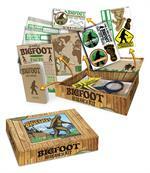 is a fun fastpaced tabletop game that plays just like the classic arcade game. Play solo or compete against up to three friends for the record high-score.